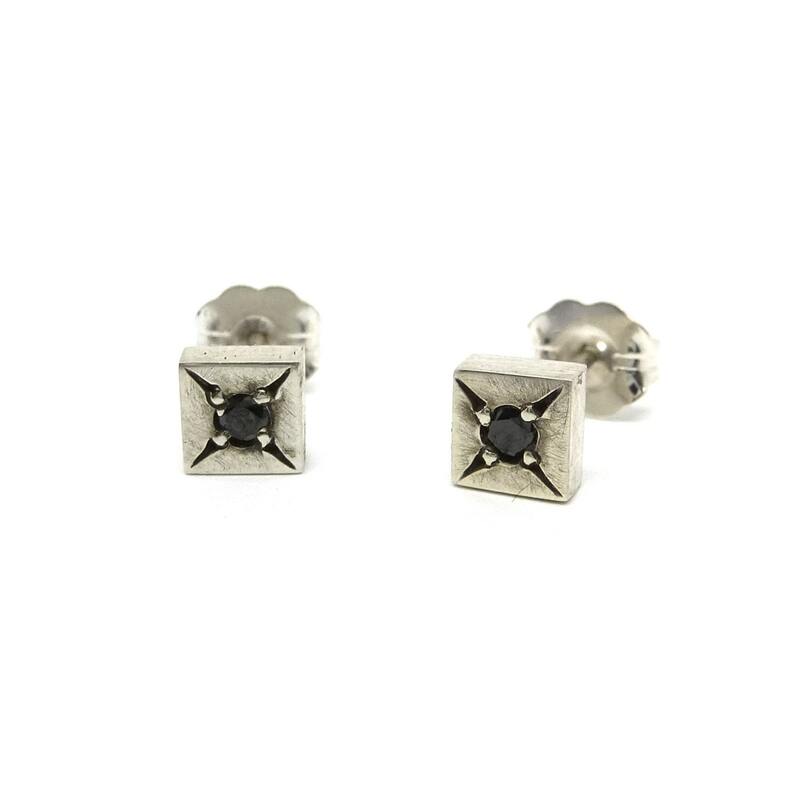 Super slick little studs for men or women. A modern design with a vintage feel. 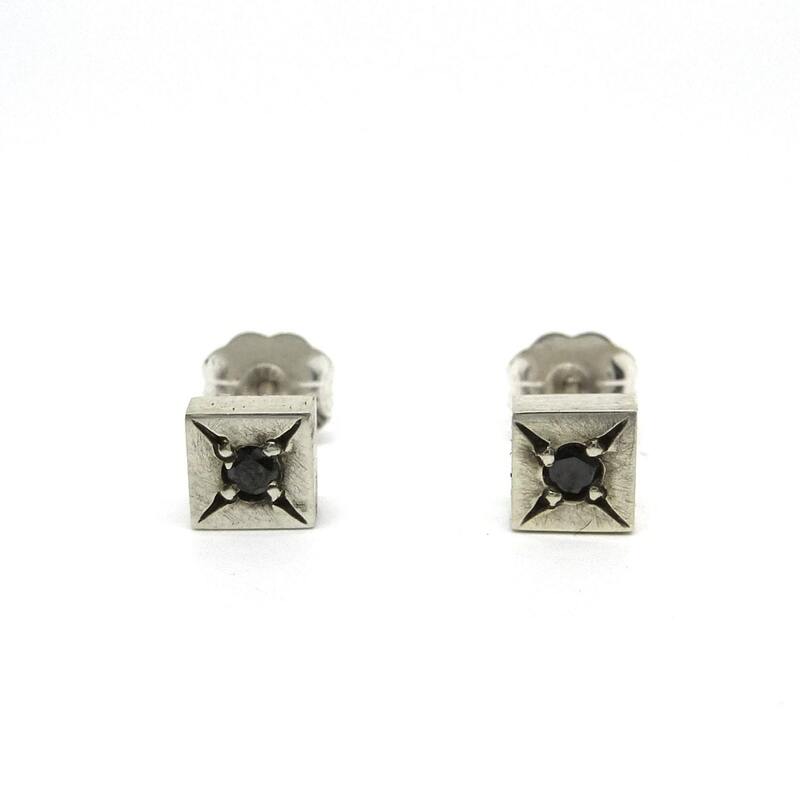 I hand cut and finished the silver squares studs. 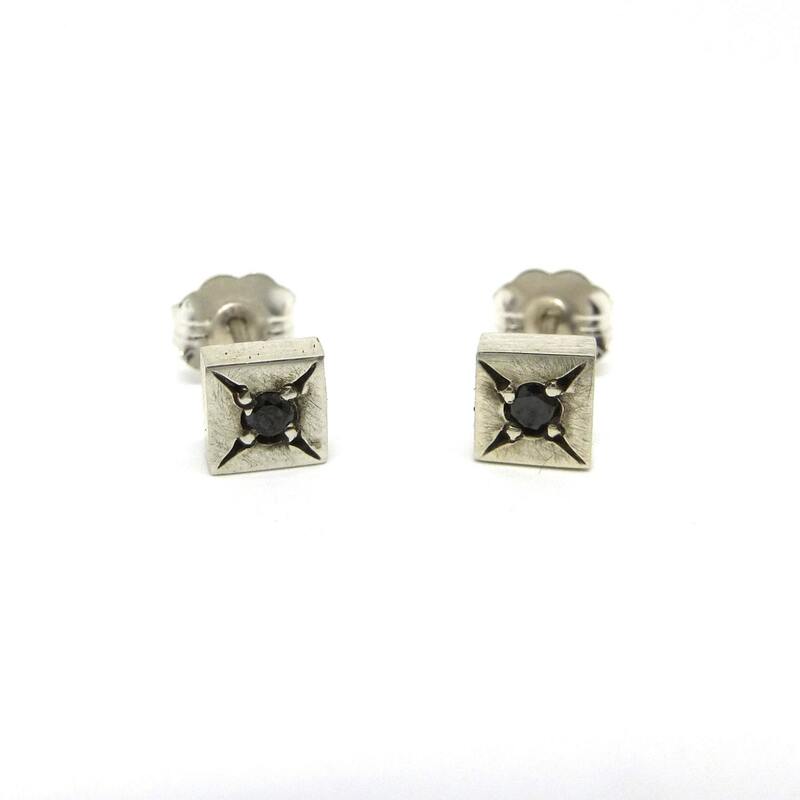 I then added black diamonds in an oxidized star setting. 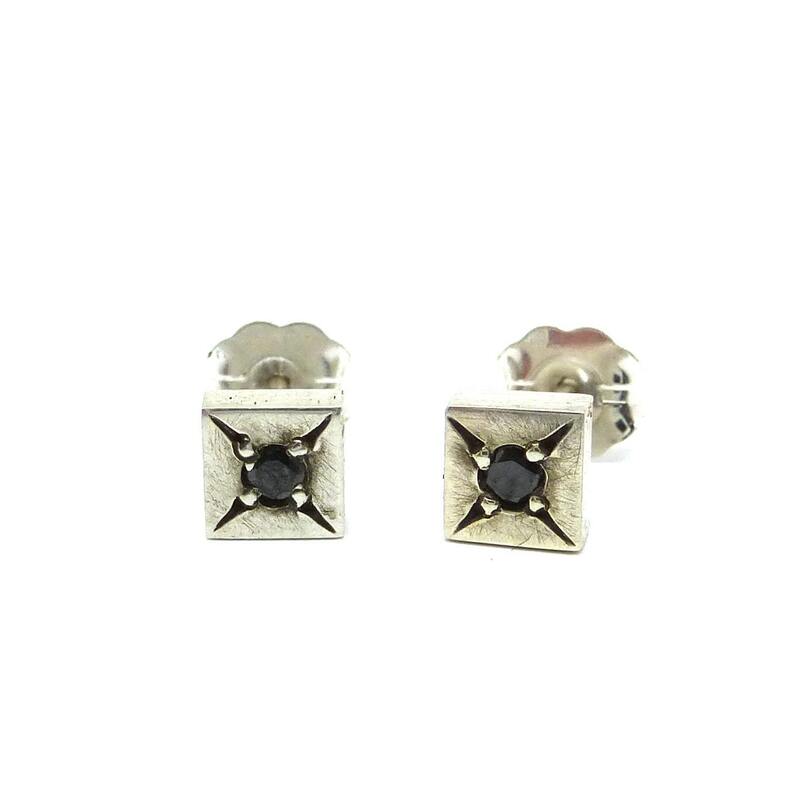 Studs measure 5mm square by 2mm thick. 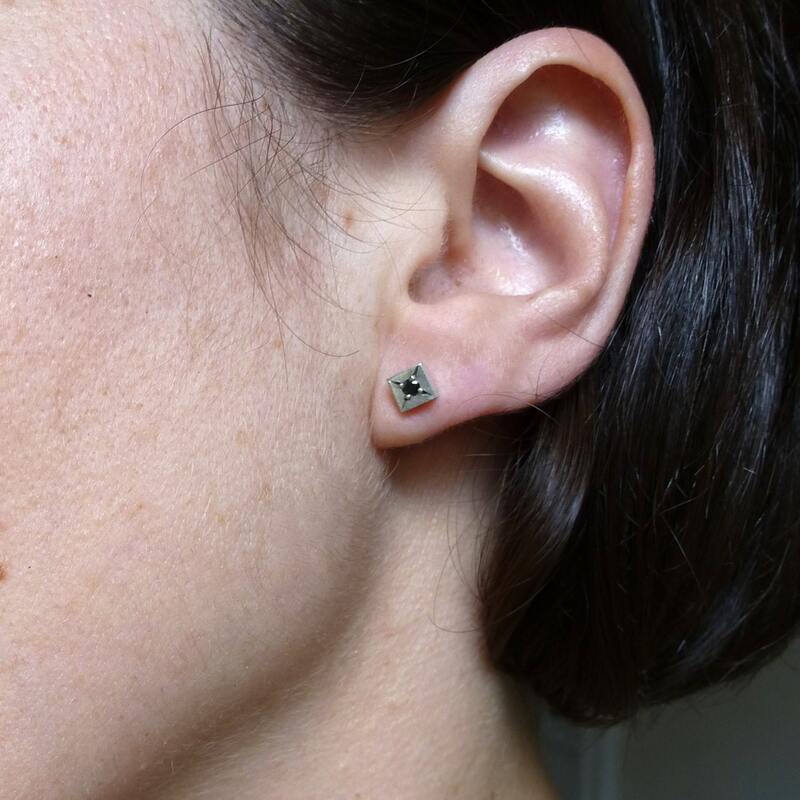 The black diamonds are 2mm. I left these with a more rough, rustic finish to be truly unisex. I can make these with different stones, just ask.